Canaan Creative is, hands down, one of the most innovative industry leaders in the cryptocurrency space owing to its successful line of Avalon miners. Since its inception in 2013, it took off by being one of the first companies to develop a Bitcoin mining processors that take advantage of ASIC semiconductors. Founded by N.G Zhang who is also the current CEO, this giant mining hardware manufacturer based in Beijing, China is leading the front of Bitcoin mining with a team of 100 engineers who make everything possible thanks to their collective experience in the cryptocurrency industry. Avalon 6 might not be as great as the Avalon 7, but it’s definitely hardware to try especially if you are on a tight budget. But you might ask – what does it have in store for you? Will it be profitable? We know that these are some of the questions you might be asking yourself, and we will give you all the answers, so relax and read through our review and you will understand just why this mining hardware is still making waves in the Bitcoin mining industry. Let’s start with the benefits so that you can clearly see why the Avalon 6 has been a favorite for many. Let's be honest; getting a miner at a pocket-friendly price is what most home miners look forward to. 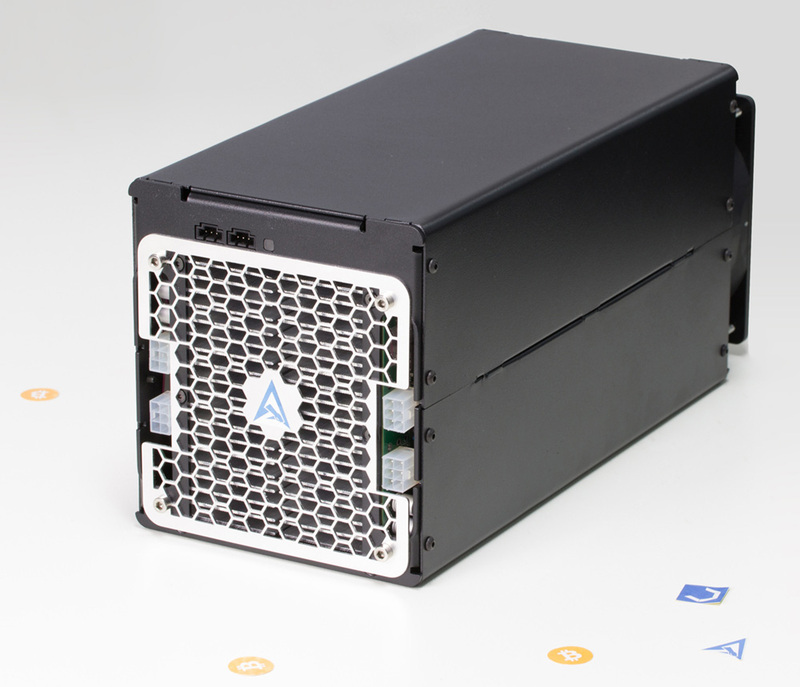 The Avalon 6 miner retails at just $550 plus a 10% discount is offered for bulk purchases of about 50 units. If that isn't good enough, you can get an even cheaper deal for used Avalon 6 miners on Amazon and other retail sites. Most mining hardware, no matter the manufacturer, is not designed for the living room or the bedroom for the sole reason that they produce a lot of noise while hashing. The Avalon 6 is no exception, but unlike most miners, it is quiet enough for home miners who want to set up a small firm in their garage. At noise levels of 55dB, the Avalon 6 produces the less noise, giving you some peace of mind. We know you have been waiting for this one so here goes. The Avalon 6 miner is still profitable today even with Bitmain releasing its 14 TH/s Antminer S9. This is possible since the rising price of Bitcoin in conjunction with the halving that is to be expected can make anyone mining with the Avalon6 reasonable profits. Obviously, low electricity costs matter a lot and you will even make a better profit if you get a good pool to mine from. With the Avalon 6, advanced and basic setup processes are easy to follow. Since it uses a DHCP automatic IP address finder, all the work you have to do during setup is to connect the Raspberry controller and use the Avalon’s control panel to kick things off. Yes, that's right! With the Avalon 6, you don't have to put up with extremely high temperatures that most miners produce while mining cryptocurrency. This machine is designed to operate below 350C. Its frequency can be adjusted to keep it cool especially when underclocked. In fact, you don't even need to add an extra fan to cool the system since it’s designed to stay cool with just one fan. Amazing right? 1. How do I connect my power supply to the Avalon 6? The good news is that the Avalon 6 is compatible with any reliable power supply unit with an upwards of 1100W, so finding the right match won't be an issue. In case of any problem, Canaan support centre is always available. 2. How can I upgrade my firmware? Caanan Creative makes sure that the process of getting started with the Avalon6 is simple and straight forward. The same applies for their firmware upgrade. All you have to do is to download the firmware file from Canaan.io and then follow this step by step process. 3. What do I do when I upgrade the firmware to the wrong version? – In case of further problems make sure you contact Cannan’s support. 4. How do I control the Avalon 6’s temperature? Now that you already know it’s possible to control the temperature of the Avalon 6, it’s only wise to understand how this is possible. One of the main ways to do it is to underclock the miner so that you reduce its 500MHz frequency to a lower one. This way it will hash at a lower temperature and produce less noise as well as less heat. 5. Can I use my own PC to run this miner? Yes, you can definitely run Cgminer on your PC. However, there is a catch! Canaan Creative strongly recommends against this idea, and for a good reason. Mining with separate software installed on your Windows, Linux or Macintosh system is very complicated and mostly reserved for programmers who know what they are doing. Besides, to make the most profit while mining you will have to join profitable pools that are not readily available on desktop applications. But if you still want to go with this option, Canaan provides an Avalon 6 guide that can help you get started. 6. How can I upgrade the controller? This one is also pretty easy since getting the latest Avalon 6 Raspberry controller software is as simple as pressing a button to download and install. The best part is that the management program installed on the Raspberry Pi controller, which is the latest update, allows you to control multiple miners and debug your system whenever necessary in a process that is easy to follow. 7. How many Bitcoins coins can I mine with the Avalon 6? This is a tricky question that every Bitcoin miner wants an answer to. The answer, however, depends on a variety of factors. You have to pay attention to Bitcoin's exchange rate and even though it's always fluctuating, the halving and rising of its price translate to good profits for miners. In the case of the Avalon 6, with low or affordable electricity costs, you can make about 0.134 BTC with the right mining pool. 8. Where can I buy spare parts for the Avalon 6? Since Canaan Creative is the manufacturer of the Avalon 6 miner, it’s also the one place where servicing of your Avalon miner can be done. You can create an account and submit a ticket request to get service or you can also check out their online store to get what you need. 9. Can I set the miner pool user to my wallet? – Finally, head on to the “Replace_For_Your_Username.worker” to key in your personal Bitcoin wallet address. The other option is to change the default Bitcoin wallet address to your own wallet directly on the control panel. It can definitely get a little tempting to do this and although a Raspberry controller can handle up to 20 miners, your set up needs to be organized depending on the Avalon Miner series. For instance, if you have ten Avalon 6 miners they can be connected to one controller but not mixed up with an A741 miner.